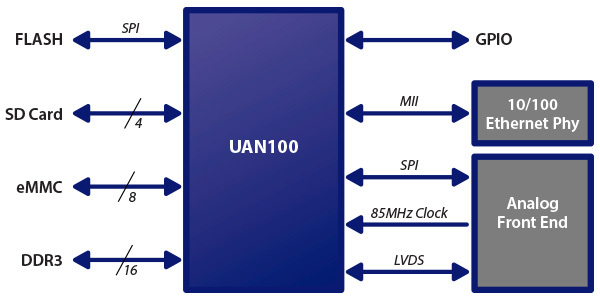 The UAN100 is designed to improve DSL performance through various forms of noise cancellation. The DSL product is placed at the customer site between the DSL customer premises equipment (CPE) and the DSL line. 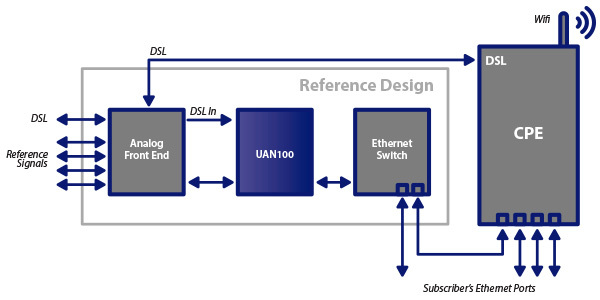 The UAN100 DSL Echo Canceller uses standard digital interfaces to the analog front end and to the Ethernet appliance using the Media Independent Interface(MII) and also supports standard IC memories.